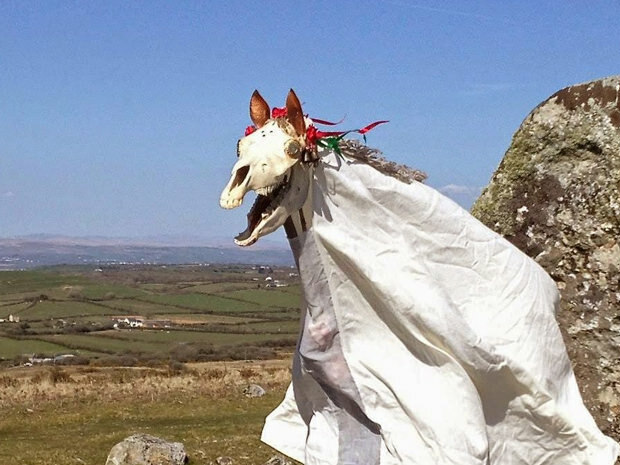 If you'd like to experience some traditional, magical Welsh culture this holiday season, you're invited to join us for the 301st Annual Mari Lwyd at the Gentle Green B&B on December 29th; say hello to our festive thestral and enjoy some song, food, and cider and/or hot chocolate. It's free, so bring by the whole family. they tried to take some of the wandless again. didn’t manage to stop them entirely but they only got maybe 3. still not good. my fault. sorry if diagon’s a bit of a mess. oops?